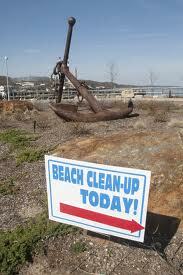 Beach cleanups are an excellent way to not only beautify our beaches, but help save wildlife too. Every year, millions of tons of trash make their way to the ocean and end up in our seas. Every step of the way, this trash leaves death, from streams, rivers and lakes to the ocean inhabitants. Even if you don’t live near a beach, picking up trash at your local park, river or lake will go a long way to keep trash out of our oceans too. There are scheduled events put on by the Ocean Conservancy and Surfrider, but take it upon yourself to grab a few family members and friends to do your own Beach Cleanup. 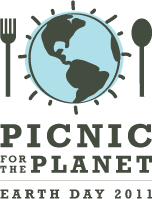 Organized by The Nature Conservancy, Picnic for the Planet is a food changing experience for this years Earth Day. Plan or join a picnic in your area and learn about where food comes from, how to eat for yourself and the planet, and why it matters. Local, sustainable and natural is the name of the game, so round up some friends and family and go eat outside! Volunteer in your community to maintain a trail, clean up a park or open-space. Clear non-native vegetation or help restore native habitat to help local wildlife. Many local, county, state, and national parks have programs in place to organize and assist volunteers. Google search ‘volunteer [your city] parks’ to find one near you. Pledge to conserve or contribute to your favorite earth friendly cause. Earthday is a good starting point for you to learn how to make meaningful changes and choices in your life to benefit the earth and environment. Now get out and enjoy!